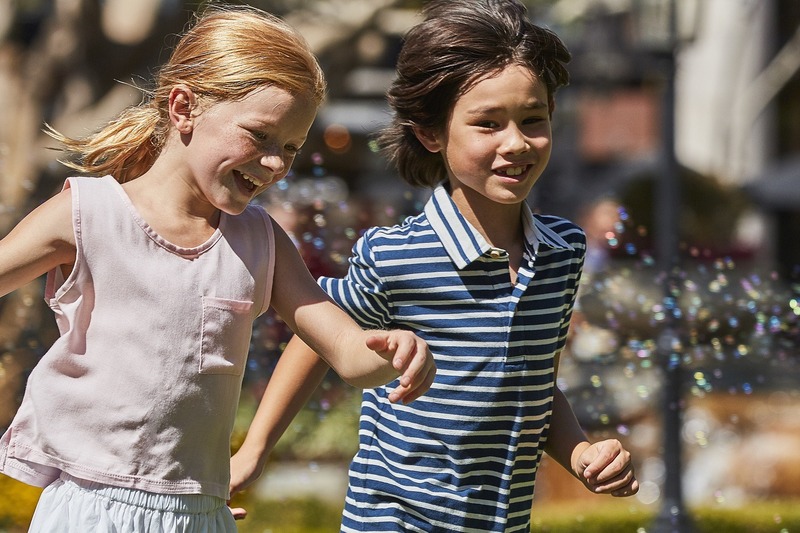 The Lakes at Thousand Oaks is open seven days a week, 365 days a year, offering guests a convenient shopping and dining experience like none other in the area. FOR SPECIFIC HOURS OF OPERATION, PLEASE VISIT OUR SHOPPING & DINING PAGE OR CONTACT CARUSO CONCIERGE FOR ASSISTANCE AT 818.637.8938​​. You may self-park in the large lot located on The Lakes Drive, behind the center, with entry/exit off South Conejo School Road or Thousand Oaks Blvd. ADA-accessible parking is located at the front of the parking lot behind Umami Burger and Drenched Fitness. Bicycle racks are located next to Lassens Natural Foods and Vitamins, near the entrance/exit to the parking lot. Join us for Kids Club on Wednesdays from 11AM – 12PM. Kids Club runs April through October.